In offering exceptional level 5 cut resistance, the Ansell Mercury 43-113 Heat-Resistant Knitted Kevlar Work Gloves are top of the range heat resistant gloves. Ideal for use with glass or for use in the automotive industry, these Mercury Work Gloves protect from contact heat of up to 350°C. Their combination of flexibility, cut resistance and heat protection makes these gloves stand out from the rest. 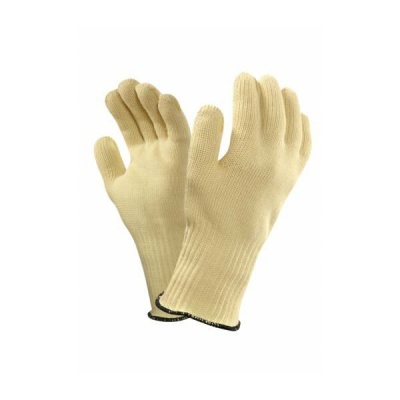 The Ansell Heat Resistant Gloves are available in two sizes that should suit the hands of most users. Please measure the circumference of your hand around the knuckles (excluding the thumb) with your hand open and your fingers together, and the length of your hand from the tip of your middle finger to your wrist.